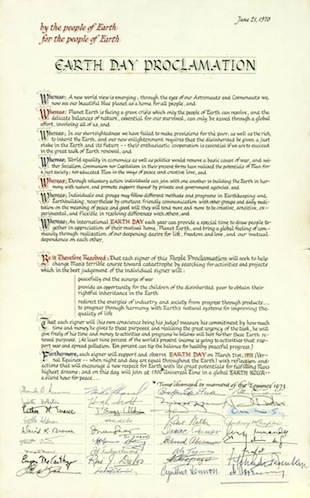 The original Earth Day proclamation, above, was donated by the family of Earth Day originator John McConnell. The original 1970 Earth Day Proclamation, signed by 35 international dignitaries, is now a permanent part of the Swarthmore College Peace Collection, thanks to a gift from the family of its author. In 1968, McConnell, a Presbyterian minister and peace activist from Iowa, designed the Earth Day flag showing planet Earth as seen from space. He proposed the idea of Earth Day the next year in order to celebrate a peaceful planet. McConnell also authored a second proclamation, the Star of Hope, with signatures from world scientists. That doucument, as well as a large collection ofMcConnell’s papers detailing his 50-plus years of work for world peace, is also part of the Collection. The Earth Day proclamation is a poster-sized, hand-created, and hand-colored document. Among the 35 signators are anthropologist Margaret Mead, former Senator Eugene McCarthy, Nobel Prize-winning former President of Costa Rica Oscar Arias, Soviet leader Mikhail Gorbachev, and astronaut Buzz Aldrin. Earth Day is now celebrated internationally on the Vernal Equinox. The Swarthmore College Peace Collection is one of the most extensive research libraries and archive collections in the country that focuses solely on movements for peace. The Collection’s holdings on the environmental movement span the papers and records of numerous peace organizations and activists who have worked for the benefit of the environment during the second half of the 20th-century and beyond. Enrollment for fall courses is coming up on Monday, and we are happy to announce that, with the hire of a new faculty member in the History department, Rosie Bsheer, three new courses may be counted toward a minor in Peace and Conflict Studies. This course examines the political and social history of oil since the late nineteenth century, looking at oil’s impact on the rise and fall of empires, the fates of nation-states, its role in war, as well as its varied impact on social and cultural life. This course addresses global trends and processes, from Venezuela to Indonesia and the Niger Delta, but the primary focus will be on the Middle East. 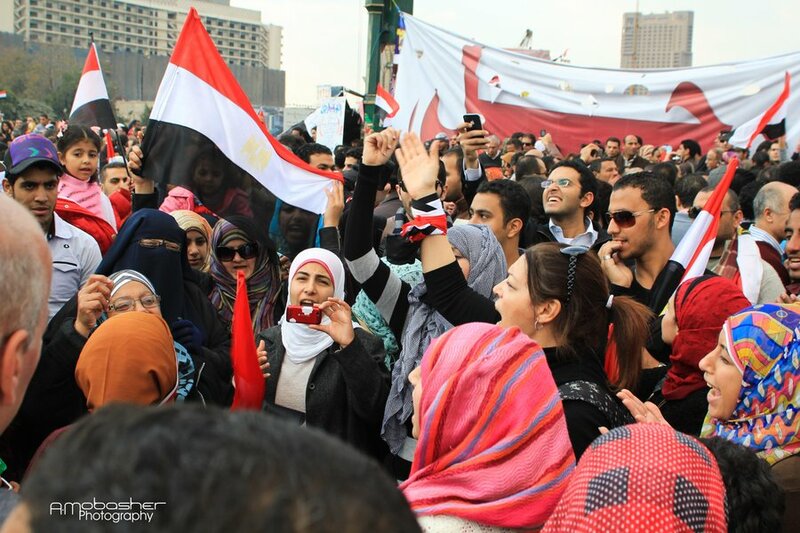 This survey course is designed at once to introduce students to the broader historical narratives and historiographical debates associated with major local, regional, and global events and processes that have most profoundly affected the political, social, cultural, and intellectual realities, past and present, of the modern Middle East. We will draw on readings from various disciplinary areas, including history, anthropology, politics, and literature. The Peace Innovation Lab in Sahilitar, a rural village in western Nepal. Nimesh Ghimire ’15 is the recipient of a Davis Project for Peace Award that will allow him to direct, establish, and strengthen the recently launchedPeace Innovation Lab (PIL) at Shree Gyanodaya Higher Secondary School in Sahilitar, a rural village in western Nepal. The project also includes a weeklong Peace Innovation Camp. The award will help build on the Peace Innovation Lab model and take it to its next level, according to Ghimire. “The Peace Innovation Lab is a creative space for young people in rural communities to come together to design, prototype, and implement interesting projects that contribute to local peace-building and grassroots innovation efforts,” says Ghimire, who is collaborating with Mahabir Pun, winner of the Ramon Magasaysay Award (commonly called the Asian Nobel Prize), to set up a wireless internet network needed to establish the peace-building projects. According to Ghimire, the PIL will strive to encourage continued participation in Nepali peace-building affairs and assist with the rebuilding of Nepal’s public education system. One of the outcomes of the weeklong Peace Innovation Camp is that the students will come up with at least five projects for implementation in their local village over the following months. 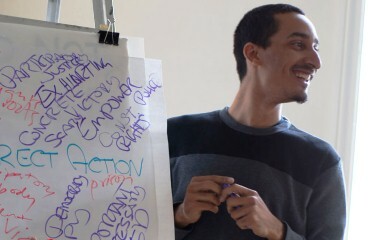 The Davis Projects for Peace awards more than $1.2 million in $10,000 grants to students who submit proposals for 2013 summer projects. The grant is named for philanthropist Kathryn W. Davis and funds projects that address conflict resolution and reconciliation, foster understanding, provide opportunity, and build community. The project is further supported with seed funding from Global Changemakers, a program managed by the British Council. A lecture and discussion with Sa’ed Atshan ’06, about sexuality and LGBT rights in Israel/Palestine. Sa’ed Atshan is a Swarthmore Alum class of 2006, he received an MPP from the Harvard Kennedy School of Government in 2008, and is now a lecturer of Peace and Conflict studies at Tufts University, and a joint PhD candidate in Anthropology and Middle-Eastern Studies at Harvard University. 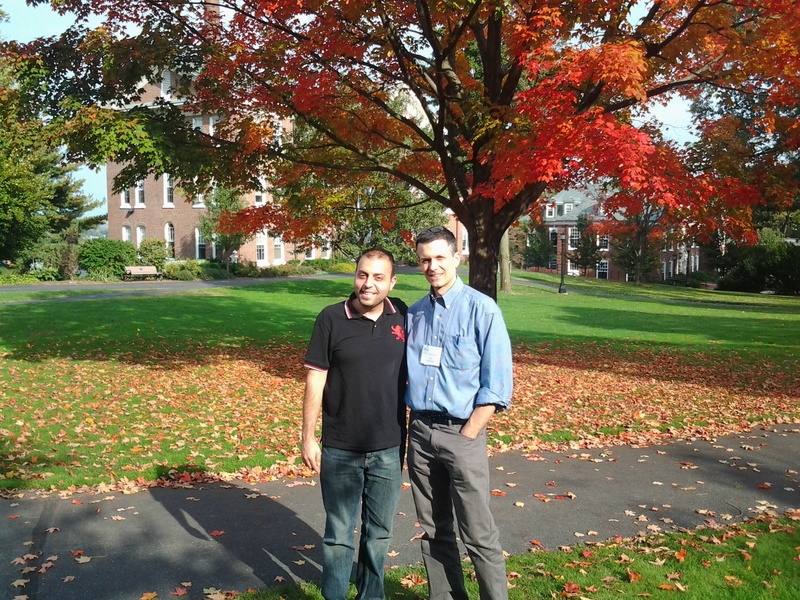 His dissertation research is on the politics of humanitarian aid provision in Palestine. Hosted by Students for Peace and Justice in Palestine SPJP (sfpatswat@gmail.com). Funded by the Forum for Free Speech FFS. The presentation by Prof. Brad Roth ’84 that was postponed last semester is back on! The norm of non-intervention is often ignored when the U.S. and other world powers claim that respect for Sovereignty should not be a shield to protect governments that are massacring their people. But there is a danger when the norm of non-intervention that has undergirded international law is put aside: an erosion of this norm licenses the strong to pursue justice as they unilaterally understand it. An over-emphasis on international criminal justice similarly undermines the nonintervention presumption. A potential result is a “ruthlessness to end all ruthlessness,” with moralistic outrage against wrongdoers being invoked to rationalize the infliction of what can turn out to be even greater human costs. Come learn how to defeat corporations with your barehands! Please RSVP for the event here: https://www.facebook.com/TheLangCenter/events. Pizza will be provided; please indicate your pizza preference when you RSVP. 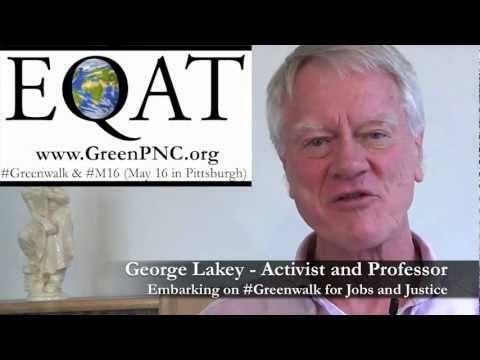 As I write this, Visiting Lang Professor, George Lakey has begun a week-long fast (with only water) from April 7-13 for the people of Appalachia, with a concern for PNC Bank’s funding of mountaintop removal coal mining. This is part of a 40-day fast conducted by Earth Quaker Action Team (EQAT), leading up to the annual shareholders meeting in Pittsburgh. On April 7 I expect to start a week-long fast on behalf of the people of Appalachia who continue to suffer from the relentless actions that destroy their mountains, livelihoods, health, and culture. The mining also contributes to climate change, which hurts us all. The first public event will be Monday at the Quaker Meetinghouse, 11.30-1pm. The last event will be at the Swarthmore PNC Bank branch on Saturday, 10.45-12. Swarthmore Gospel Choir singing at 8pm Thursday. This is part of a 40-day fast conducted by Earth Quaker Action Team (EQAT), leading up to the annual shareholders meeting in Pittsburgh. The fast is a tool for spiritual preparation and outreach. EQAT has for three years been in dialogue with PNC Bank as well as nonviolent action which shines the light on the bank’s role as a leading funder for blowing up mountains. EQAT plus allies will take action at the shareholders meeting. Green your money: if you bank at PNC, move it to a community bank or credit union and tell EQAT.org. Over $3 million has already been moved. Join the fast by skipping one meal or many, and tell EQAT.org. Come to Pittsburgh to shine the light on PNC’s board of directors. Join EQAT’s project of shadowing PNC board members when they make public appearances. Research on PNC and the health effects of mountaintop removal available at EQAT.org. 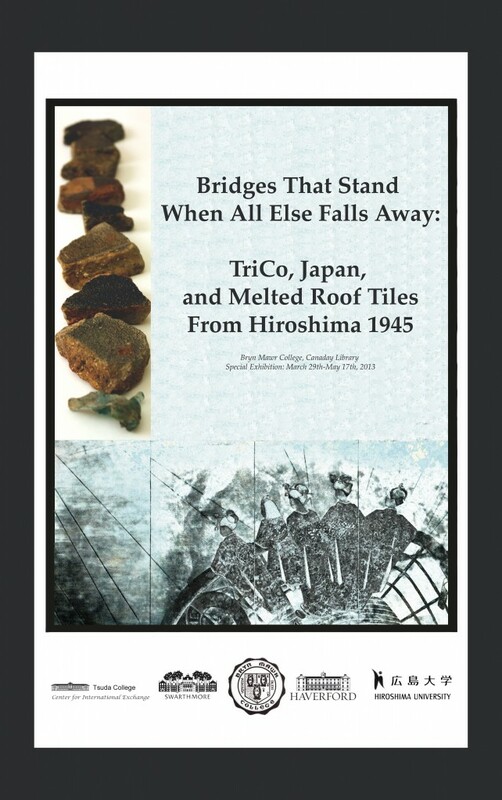 A new exhibit has opened at Bryn Mawr College’s Canaday Library.